Skunks are mammals with a distinctive physical appearance marked by black and white fur and a long, fluffy tail. Different species can vary in shades of black to brown, cream, or ginger, but they all have white warning coloration on their head and down their backs and tails. Their sizes vary from between 15 and 40 inches in length and weight in a wide range from just over a pound to up to almost 20. They’re omnivorous, eating both plant and animal material and changing their diet seasonally as various food sources become more or less available to them. Their vision is poor and, because of this, they can be very defensive toward sounds or smells that they find to be intimidating. They’re typically solitary animals, so when you have one on your property, it will likely be the only one unless it is currently breeding and, then, there can be between four and seven pups along with a single adult female. Adult females are very defensive of their young, so if you have a breeding skunk on your land you need to call professionals immediately to help with the removal. Skunks pose a very specific danger that other mammalian pests do not: their dreaded spray. Skunk spray can get into your home if they ended up spraying a pet that comes inside, or if they just happened to become afraid around your home or business’s perimeter and the smell gets sucked in through the HVAC system. Either way, it’s trouble – and it’s not the only trouble skunks can cause. 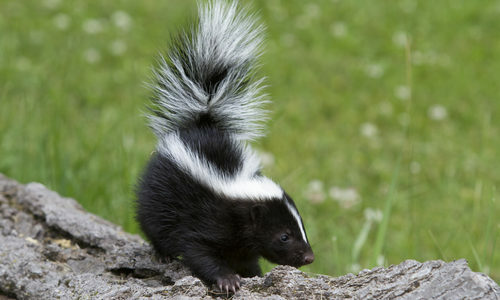 Skunks are also common carriers of rabies, which can be transmitted through skin-breaking bites. If you have a skunk on your property, your best move is to contact pest control professionals immediately, but you should be especially inclined to do this if you notice it moving around erratically or behaving strangely aggressive or fearless. These are common signs of a rabies-infested creature. Skunk droppings are also loaded with a lot of dangerous and harmful bacteria that can be transmitted to your family through contact with your pets, which is another reason to contact professionals immediately as soon as you realize there are skunks on your property. Why do I have skunks? If you have a skunk, or on rare occasion multiple skunks, on your property, there are a few main reasons that can draw them in. Number one are easily accessible food sources like an existing pest infestation or naturally growing berries, leaves, and nuts. They’re also drawn to easy places to find shelter such as underneath decks, in woodpiles, or in outer sheds or garages. They’re looking for protection, warmth, and food, so those are the things to make difficult for them to access if you want to avoid them from entering your property. How can I prevent skunks? Exclusion efforts are what is going to be your most effective guard against a potential skunk infestation. First you should make an effort to ensure that there are no holes or cracks near structures on your land that they could create a potential den in. Fill these holes with dirt or concrete and cover them with sturdy wire mesh to prevent any curious digging. Skunks enjoy making homes in natural cover, so remove things like brush, woodpiles, overgrown vegetation, or any abandoned machinery on your land to take away their motivation to move in. How can Gregory Pest remove skunks from my home or business? 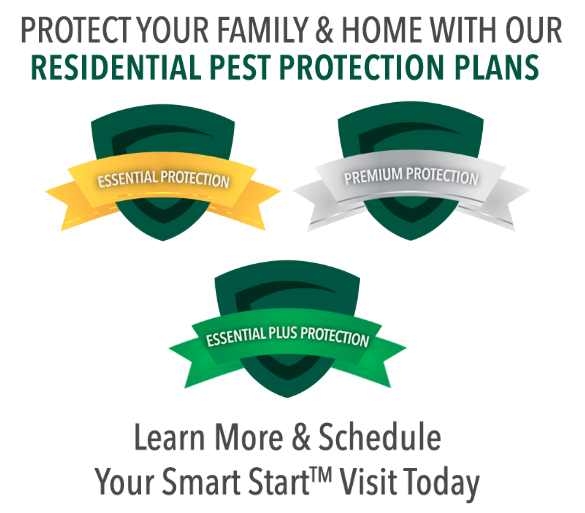 A specially trained exterminator from Gregory Pest Solutions will be your full-service pest solutions provider once you call to set up an appointment. We specialize in the effective, humane removal and prevention of skunks from your home, business, or property. When you hire us to evaluate your home’s problem, one of our professional technicians will be sent to assess the situation and subsequently formulate an environmentally friendly plan for their removal. Once the plan is implemented, we’ll set up prevention measures so that you and your family can enjoy a lasting pest-free environment into the future.